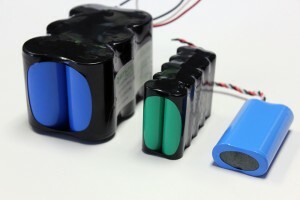 Lithium-ion batteries are used in most electric vehicles currently on the market. However, due to their lower energy density larger packs are required for the high-power need in EEV’s. So far engineers have been able to manipulate and expand upon Lithium-ion technology to meet what current needs but the cost is still too high for the average consumer, with Tesla cars costing around $132,000 currently. Researchers are working tirelessly to find new ways to make electric cars last longer and go farther, all at an affordable price. There is still room for Lithium-ion energy density to improve, with experts estimating a 7% annual climb for some years, but it will eventually reach its limits. When that time comes we will need something else. What this something new is still is unknown at this time but a prevailing thought among battery researchers is not to find a new battery altogether, but to create a new lithium-ion battery itself. This would ensure that all the advances already achieved with Lithium-ion are retained, and allows them to serve as a solid foundation on which to build upon. Almost every month a new idea on improving Lithium-ion batteries is released. While most of these unfortunately do not go anywhere we at Harding watch each and every potential development and share some of the more promising or interesting ones on our News page.